We are approaching the end of Week 1 in Spain, and I think most of the peloton is starting to feel it in their legs. We did less than 3,000 meters (~10,000 feet) of climbing, which was a nice respite, and we thought Stage 6 would come down to a big bunch sprint. As I’ve seen in other races in this part of Spain, the area can be very windy. The flags were whipping this morning when we rolled out. A three-man group quickly got away and we were happy to see Richie in there showing that he’s starting to recover from a tough stomach bug that he started the race with. Sports coverage shows one side of the day. 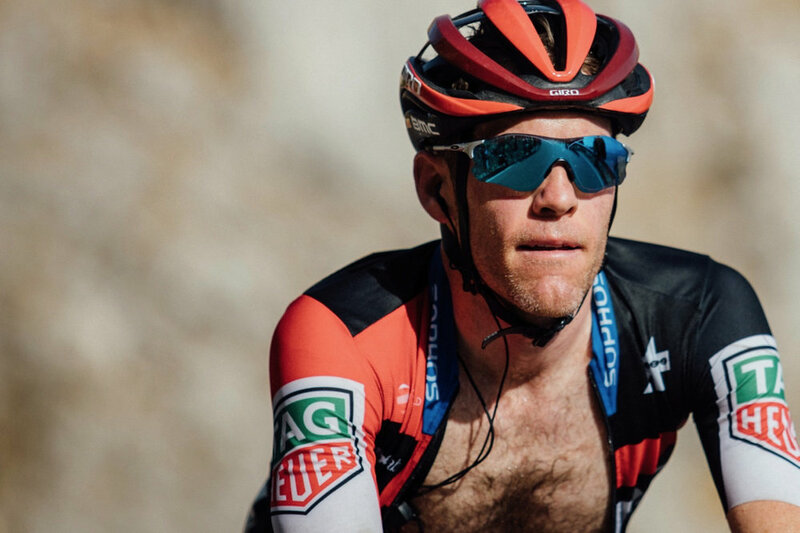 Their stories center on the toughness and suffering of the best guys at the top, but they fail to capture the humble drudgery and pain that the guys at the back are riding through. This isn’t Richie’s usual territory, and while I think he’s enjoyed having less pressure placed on him, he isn’t wired for gruppetto riding. 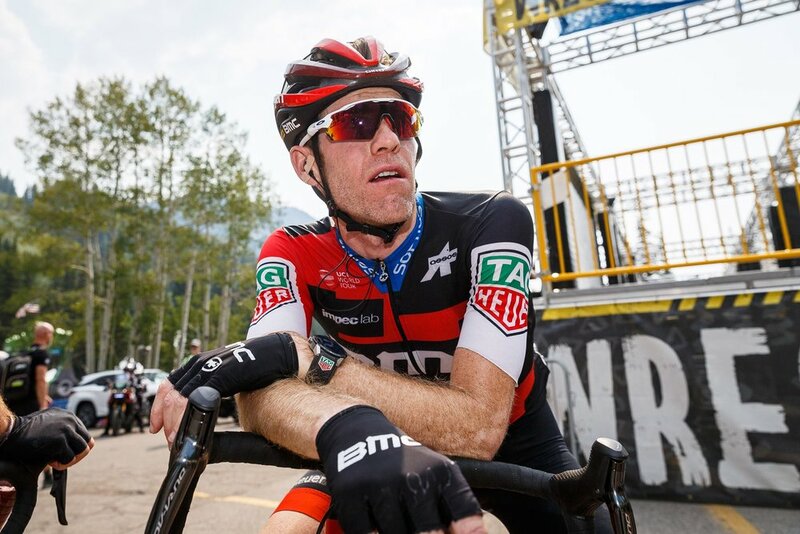 Hopefully, today boosted his confidence and helped bring him back for some big rides in the coming weeks. Meanwhile back in the pack, things went fairly smoothly, but there was always a little nervous energy because clearly there was potential for some crosswind action. With about 25 kilometers to go, things got chaotic and tense as we bounced through the town of Cartegena. I was trying to stay switched on and in position, but in the back of my mind, I was thinking about staying safe and not doing too much damage to my legs after yesterday and knowing it wasn’t a huge deal to lose a little time. Approaching the important corner, we came through another small town, and everyone slammed on the brakes as we dodged bikes and bodies on the ground. 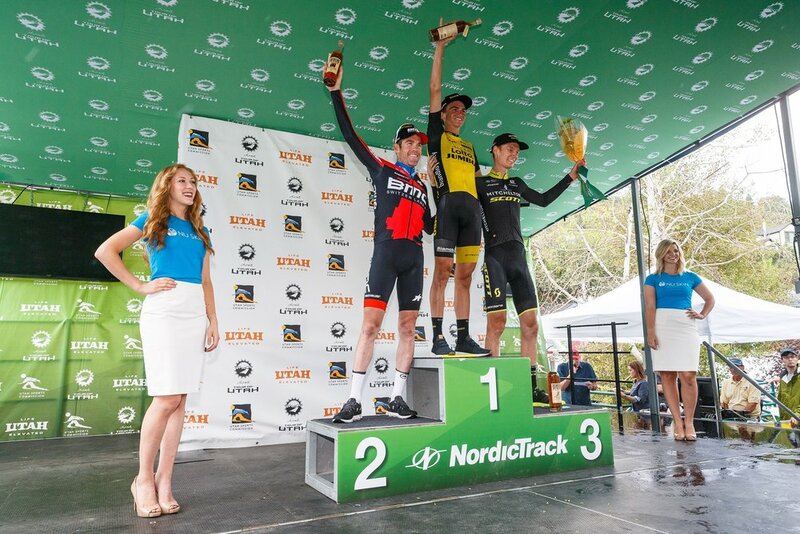 It looked like another dismal job of obstacle signaling by race organizers, and a couple riders paid dearly for it. That was enough to split the group. We still had 25 km to go and had groups even farther back were battling the wind. Up front, they were in full echelon lead out mode. I did my best to stay out of trouble and eventually we connected with Nico’s group, which had a few GC contenders who were doing their best to limit losses to the front. It feels a little strange not to be sweating splits and time lost, but I suppose that comes with the stage hunting mentality. The plan stays the same à remain focused on opportunities as they arise. We knew Stage 5 was a day for the breakaway. Our directors were laying on the pressure and hype this morning. It’s easy to say “go in the break,” but so much harder to make it happen. It takes legs, timing, and a little luck. I wanted to give it a try, and eventually I found the right combination of those factors and got in a group of around 25 guys. It was no small feat just being there and took us almost 70 kilometers of twisty and hilly terrain before we had a gap. De Marchi was with me, and every team except Sky and Quick Step had made the move. Anytime there is a group this big, the shenanigans start early and cohesion is rare. Everyone’s director is telling him to save energy and do the least amount of work. 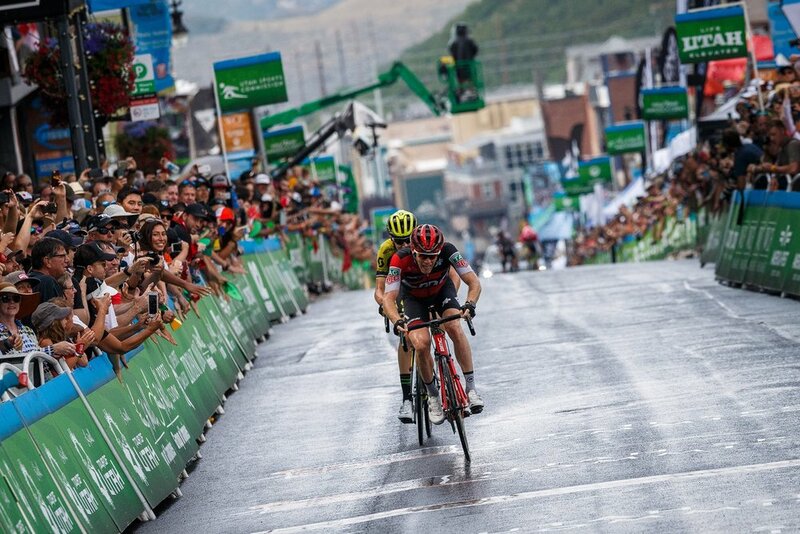 I hate this part of cycling as it turns into a game more than a sport. With 80 km to go, the splits began. At first, guys would open a gap on a downhill then not want to spend any energy closing it. This sets up counterattacks with guys trying to bridge across. Reset, repeat. It’s the most inefficient way to maintain speed and a time gap. But to be honest, the reason I don’t think I like it is because I’m not very good at it. Alessandro on the other hand always seems to have magical timing and put himself in the front mix immediately. Although we got close to him, I never saw him again until the finish. While one may think I had a “free ride” after that, not true. It was the complete opposite trying to control 20+ riders who were all on a mission to get away without me because they knew I wouldn’t be much help trying to bridge the gap. It was great having Alessandro up there, but personally, it hindered my chances for a strong performance. As we headed into the final climb, I found myself on the worst end of the group with guys who were content to be done racing. Overall, I’m pretty disappointed. It took things aligning just to get in that group, including Sky being ok with giving us enough gap to stay away. I was feeling strong and capable but really came away empty-handed and quite frustrated, not to mention the significant physical effort that I put out, which will take a few days to rebound from. I hope there are more chances in the coming days and weeks. 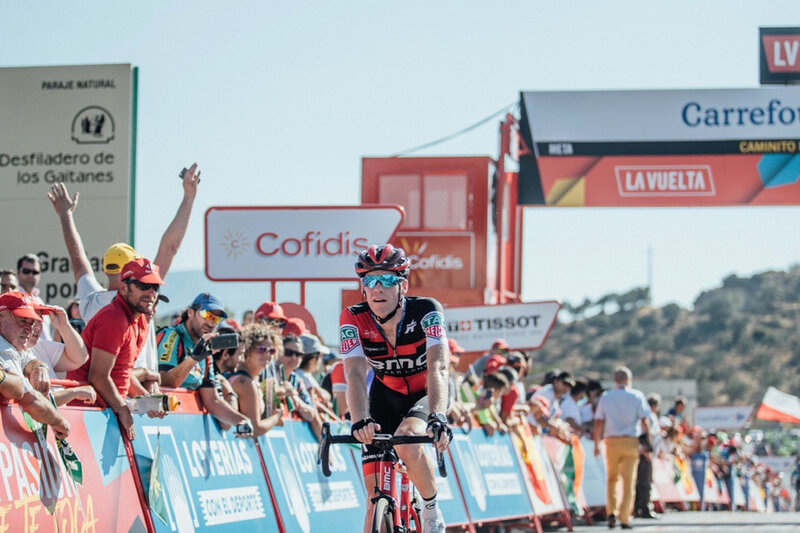 Stage 4 of the Vuelta was the first of many summit finishes, and it surprised many that the early breakaway stayed away. When fellow American Ben King took the win, it was inspiring to see him show that the good guys can win! And as always, the result only tells a small piece of the story…. 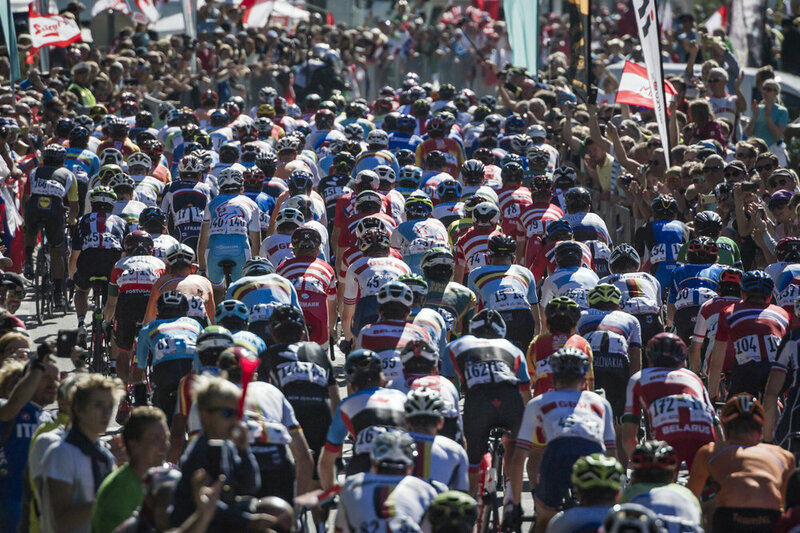 For the third day in a row, the first attack from the bunch became the break. 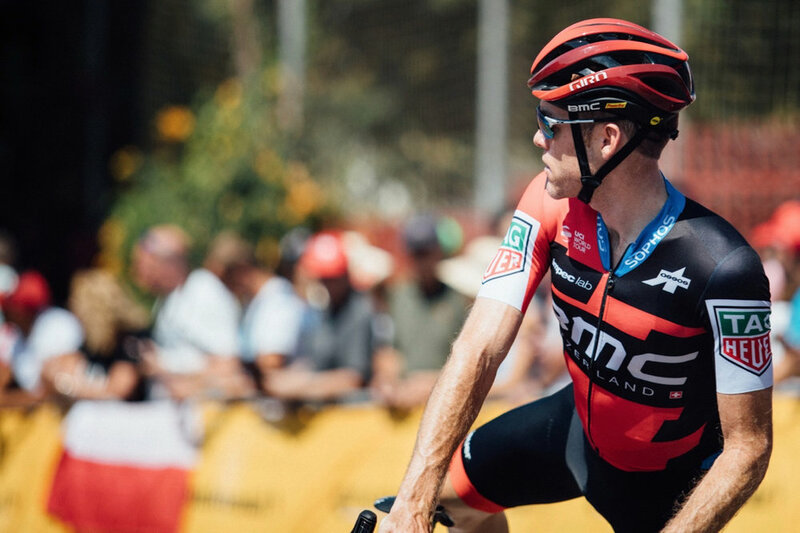 I think a lot of guys, including BMC, were thinking that if the first attack went, the group would likely be controlled teams like Sky or Movistar so they could contest the stage. If the break took a while to go, there was a better chance these powerhouse teams would consolidate their energy and give the break more of a leash. As cycling often teaches us, expect the unexpected, and that was true today with the group in front getting a hefty 10-minute lead. 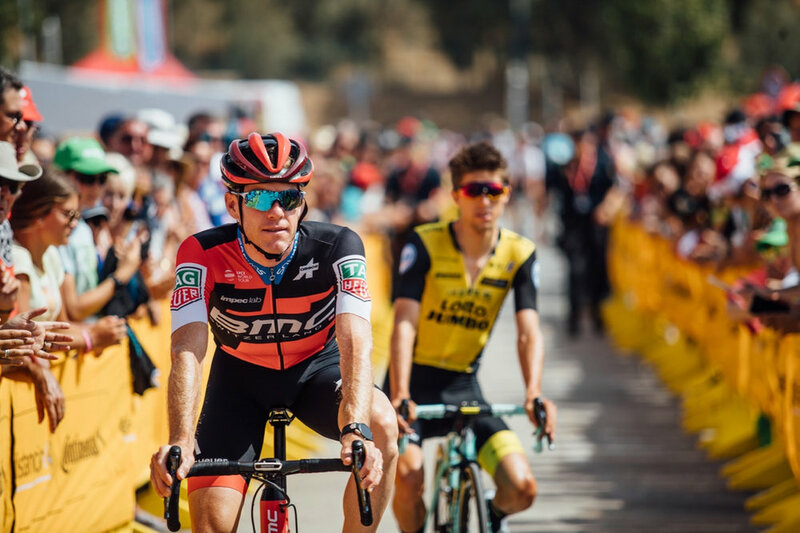 We had a reasonable pace in the bunch as we reached the first categorized climb halfway through the stage, but you could feel the tension rising as the gap inched farther and farther out. We kept thinking that at any minute a team would begin to ramp it up, string it out and chip away at the lead. That moment never came and it was a game of defense in the pack all day. Again, it was super hot and I lost count of how many bottles I drank and dumped on my head. I found some slightly familiar roads that I had ridden this spring while doing altitude training In Sierra Nevada. These were the roads I sought out when the high elevations were still cold and a little snowy. From there, we pinball’ed through Granada on the approach to the final climb, and I stayed up there over the first couple pitches keeping an eye on Nico. He’d missed his last chance for a bottle, so I was glad I pushed to stay there for a few extra minutes and grabbed one for him and dropped it off. From there it was into conserve energy mode, but still, there is no easy way up a 10-kilometer climb in 95F heat! I have no delusions about chasing GC here and hopefully will be able to utilize a bit of banked energy when things align and an opportunity appears in the coming stages. Seeing tomorrow’s profile and how today panned out, I think it will be a much bigger fight for the break, and there is also a chance it could stay away again. 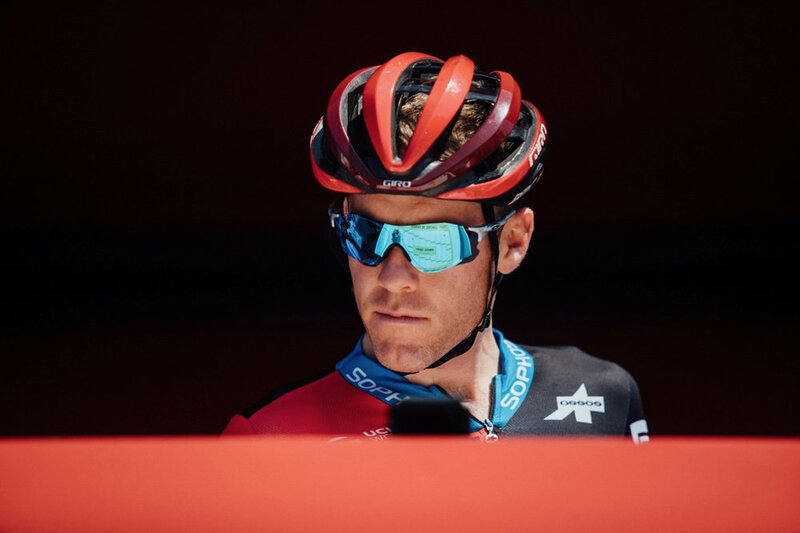 Going into a Grand Tour that starts with a time trial is always daunting as you know the percentage of racing is small, so you don’t want to spend too much energy for no reason. At the same time, we all arrived here fit and ready and doing an effort that you can be proud of is good for your confidence, morale, and motivation going into the next few days.